• Flooring tilts to a 40-degree angle for loading sulo bin. • Mesh storage area above wheels for brooms, shovels etc. 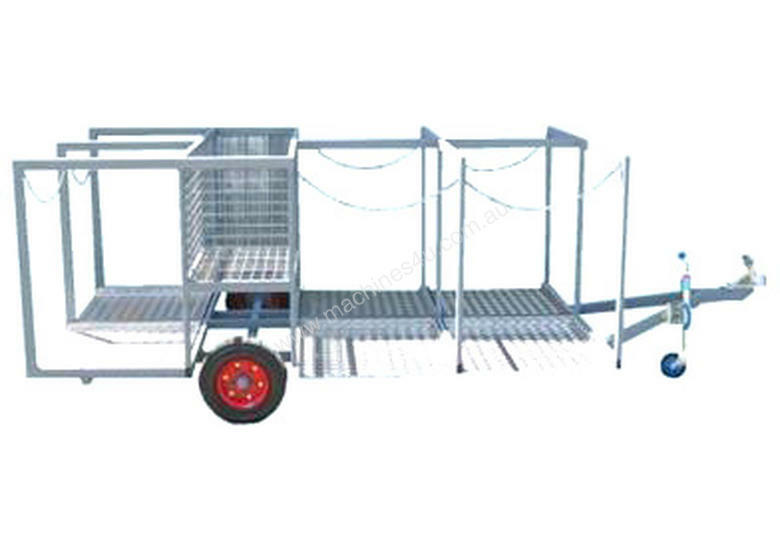 • Can be towed behind any tug, cart or car (trailer not registered). • Drawbar has a goose neck so trailer tows level.